Bookkeeping Services for small business utilizing several professional accounting software packages. Specializing in personal returns and small business returns. 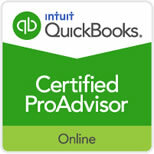 Utilizing Professional Income Tax Preparation Software, Tax Planning and Tax Research Products. Review of payroll records and preparation of quarterly payroll returns, W2’s & 1099’s for Federal, Illinois & Missouri Encouraging usage of online state of federal programs to pay and report tax liabilities. Review of sales records and preparation of state sales tax returns. 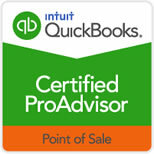 Assist in selection, setup and training for Accounting Software for use in small business operations. 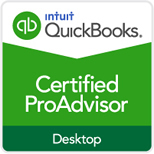 Quickbooks Proadvisor. Assistance in selecting local professionals for web development, network and workstation support Expertise in the selection, purchasing, implementation, training and support of Accounting and Distributions systems in for businesses. Assistance in purchasing and implementing of all software and hardware including scanners, cameras, RF devices, bar code printers, modems, and network printers. Assistance to business management in all aspects of the operation of small business including budgeting, planning, staff issues, operation issues as well as acquisitions.